VT: The name of the seminar is “Igniting Your Next Capital Raise.” This is obviously a hot topic for early growth companies. SS: Absolutely! 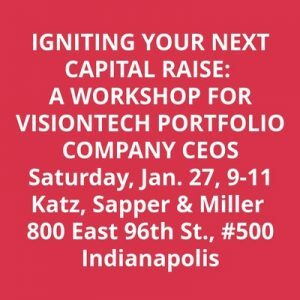 This seminar is specifically for the CEOs of VisionTech portfolio companies and other invited startups that have successfully secured angel funds, have momentum and are planning another capital raise in the next 24 months. A professional money capital raise will be a totally different experience; a lot like making the leap from Double-A to the major league. 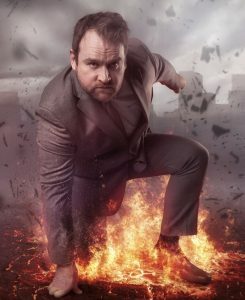 This seminar gives CEOs the game plan they need to prepare for and successfully ignite future fundraising efforts. VT: What’s the difference between fundraising with angels and Series A rounds? SS: Angel investors get in on the ground floor of companies so our investment decisions are often based on a company’s leadership, business model and plan, and early successes. In later rounds, investors are laser focused on a company’s financials. Accounting systems must be in place and numbers have to be tight if professional investors are going to trust and ultimately invest. VT: What was your “ah-hah!” moment regarding the importance of sound accounting systems in capital fundraising? SS: I was working as a contract CFO for a SaaS company in the K-12 education market that had self-funded for 10 years. They needed an infusion of capital, but even with 20% annual growth, they couldn’t raise the money. One of the challenges was an accounting system that was not based on GAAP. So we attacked that first and by working through other issues to get their financial house in order, they became an attractive acquisition target. A private equity firm made an offer and the deal closed in 30 days. Having the right accounting infrastructure and presenting accurate numbers – in this case, GAAP numbers versus billed or cash – was critical for professional investors and led to a quick close. 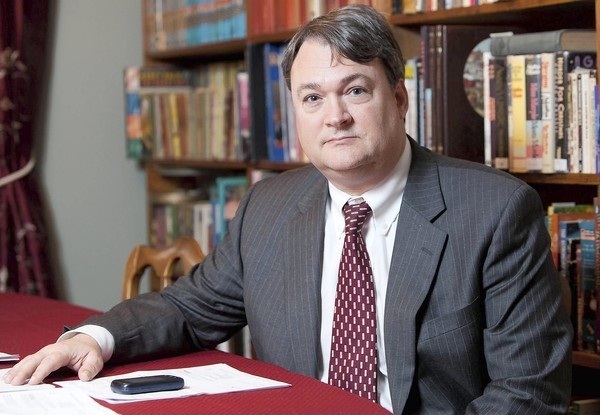 VT: Do startup companies overlook the importance of financials? SS: They don’t overlook financials; they just get busy. What happens is this: the CEO is running the company, marketing, selling, and looking ahead to the next market, the next version of the software, product or service, the next raise. Basic operations sometimes take a back seat. When it’s time to start the next raise, companies aren’t totally prepared. Often they don’t know what they don’t know in terms of what professional investors are looking for in accounting and financial reporting and forecasting. VT: What will CEOs walk away with from this seminar? SS: The big takeaway is they will learn what they need to do to meet the financial expectations of potential investors. Each participant will leave the seminar with a to-do list of financial/accounting projects that should be completed before they approach investors for professional money growth financing. If they complete their to do list, they will ignite their fundraising efforts. VT: Is their something extra for SaaS companies? SS: Yes, we’ll be taking a deep dive into SaaS accounting for 30 minutes after the main session. So if your company is SaaS, you’ll want to stick around. 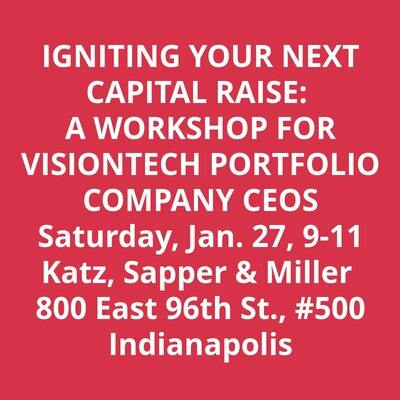 VT: There are only 15 spaces for this VisionTech event, Igniting Your Next Capital Raise, on Saturday, January 27, 9-11 am at Katz, Sapper & Miller, a VisionTech sponsor. Click here to RSVP. Event is open to VisionTech Portfolio Companies and guest startups.